My name is Peter Batty and I live with my partner Paula in LoDo (Lower Downtown Denver), on Wynkoop Street just across from Union Station. 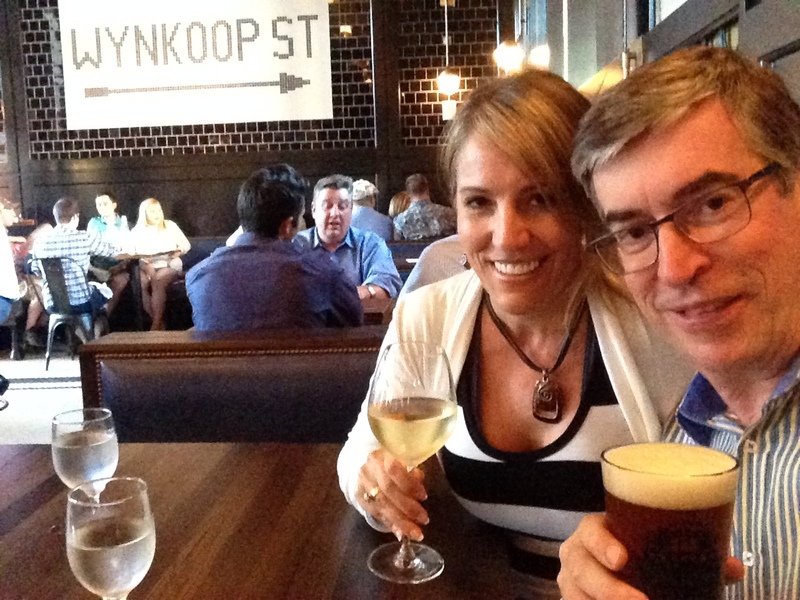 Paula and me in the Terminal Bar – they have thoughtfully included a large sign to indicate our way home! For us locals it has been very exciting to see the redevelopment of Union Station over the past few years. Lots of my friends have been asking about the station development and what they should do and see there, so I decided to create this site to share what Paula and I like about Union Station and the surrounding area. We hope you find it useful, please feel free to email me with any feedback or suggestions.